Conservative deputy chairman James Cleverly rubbished the Labour Party’s financial strategy ahead of the Autumn Budget, calling it "pie-in-the-sky". Chancellor Philip Hammond will announce a £300 million fund to fix potholes in the roads and £28.8 billion to improve roads across Britain. “We’re getting those income tax receipts, we’re getting more money coming in than people have predicted, we’re having to pay out less than predicted, so we’re getting the economy back into balance,” said Mr Cleverly. Cleverly responded that the Treasury are “naturally cautious” and said the Conservative approach was “sensible” compared to Labour. “We can’t do what Labour are doing, which is pretending there are no difficult decisions ahead and overcommitting public funding to each and every thing that comes into their head,” he said. He added: “What Labour are doing - if you do this pie-in-the-sky, headline-grabbing, I-can-spend-money-to-dig-myself-out-of-any-challenge [approach] - we can’t do that. 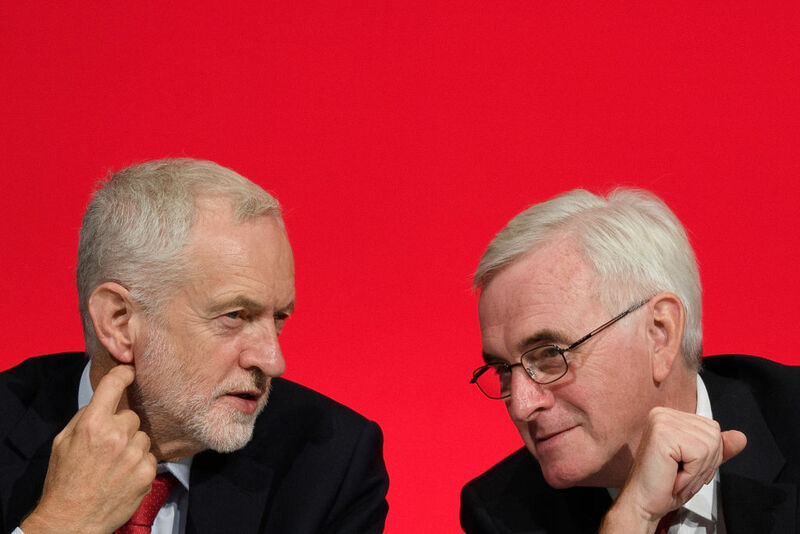 At the Labour conference in September, shadow chancellor John McDonnell called for nationalisation of the water industry and a cut to executives’ pay, and laid out plans to make employees part-owners of the companies they worked for and cut dividend payments. The party also announced they'd dedicate £13.5 million to services for people with alcohol addiction, and impose a higher tax on second homes. “We’ve crunched the numbers and there was a trillion pounds - a thousand billion pounds - of hidden spending commitments in the Labour manifesto,” continued Cleverly. As for Mr Hammond’s hint that a no-deal Brexit may necessitate a different Budget being drawn up, Mr Cleverly said: “That’s stating the bleeding obvious.